Digital modes can be voice or data these days. This page has some information on the popular digital modes used by members in our club. PSK31 is used in particular for sending ICS forms for ARES deployments. There are a number of competing voice modes, but the most popular is D-Star, which can used by any manufacturer. What do they sound like on the air? This site by WB8NUT has samples of what each digital mode sounds like on the air. This helps those new to digital know what mode is being used on a particular frequency. Click the headphones to hear samples. PSK31 is a digital communication mode for amateur radio. It is one of the most common and easy-to-use digital modes as a PSK31 station needs only to consist of an SSB transceiver, an antenna, and a sound-card equipped PC. This external website is a basic resource covering what is PSK31, how to set up and operate your own station, some available software, and additional resources. You can also download the file here that was compiled by club members and designed to help you get going on PSK31. We have a number of hams in the club that help, if you have questions. The most popular free software to use is FLDIGI . 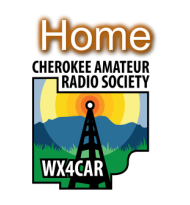 If you want to purchase some supported software and have technical support, use Ham Radio Deluxe . D-STAR (Digital Smart Technologies for Amateur Radio) is a digital voice and data protocol specification developed as the result of research by the Japan Amateur Radio League to investigate digital technologies for amateur radio. While there are other digital on air technologies being used by amateurs that have come from other services, D-Star is one of the first on air and packet-based standards to be widely deployed and sold by a major radio manufacturer that is designed specifically for amateur service use. You can download the D-Star for Dummies, courtesy of Charles Johnston III, W8KWA, Columbus, OH. DMR is short for Digital Mobile Radio. It is an open digital standard defined in the European Telecommunications Standards Institute (ETSI) Standard TS 102 361 parts 1–4 and used in commercial products around the world. DMR, along with P25 phase II and NXDN are the main competitor technologies in achieving 6.25 kHz equivalent bandwidth using the proprietary AMBE+2 vocoder. DMR and P25 II both use two-slot TDMA in a 12.5 kHz channel, while NXDN uses discrete 6.25 kHz channels using frequency division. The standard has become popular within the amateur radio community due to the relative lower cost and complexity compared to other commercial digital modes. Here is a good reference for those who want to learn more about DMR. Programming the radios is another matter all together. Members of the CARS club that have expertise in this can assist you in setting up your radio. All of them program differently, but require the same information. Click on the logo on the left. Where can I find the digital modes on the bands? Digital modes are often found in the same vicinity as CW, but have their particular subpart of that band, mostly by convention and users informal agreement. Below you can down load a digital band plan that will help to locate places for specific digital modes like PSK. Newer modes like JT-65 can be found in various places and bands, but have some popular frequencies as well.